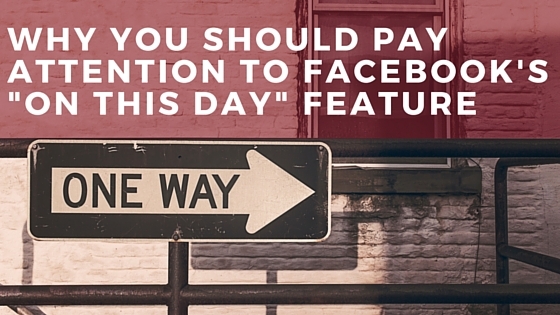 In March of 2015, Facebook launched their “On This Day” feature, enabling users to view content they’ve shared or been tagged in on Facebook on that day in previous years. Some users enjoy reminiscing on memories shared over the years and others don’t understand why anyone would care about that content. But there’s an important reason why you should take a moment to review these previous posts: your privacy. For those who signed up for Facebook several years ago or prior to starting in your current profession, this is a daily opportunity to review the content you previous published or were tagged in. You may have found it amusing to post a drunken selfie at a party when you were 22, but now that you’re building a professional reputation, you may no longer want to be associated with that behavior, especially as you’re building a professional network on Facebook. Keep in mind you should assume anything posted on the internet is there to live forever (don’t believe me? Look up your old LiveJournal or Angelfire website on the Wayback Machine…), but there are steps you can take to limit how much of your past is displayed on your Facebook page. 1. Delete the post. If there’s something you want to completely remove from Facebook, you have the option to delete the post. Click on the arrow on the top right of the post and select delete. 2. Change the post audience. Another option is to change the audience who can view the post. Click on the people icon next to the post date and time to select an audience that will be able to view this post. 3. Limit the audience for old posts on your timeline. 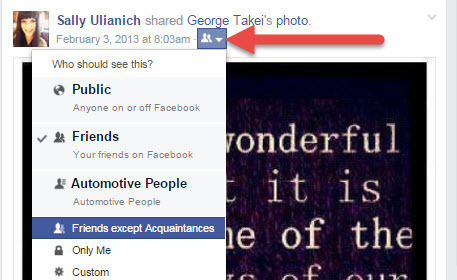 Use this option to change any previous posts with audiences set to friends of friends or public to friends only. Click on the padlock Privacy Shortcuts link at the top of Facebook, select See More Settings, then click on Limit Old Posts. Next Next post: Is Your Dealership’s Online Reputation Ruining Your Business?